Northern Ireland's location surrounded by the stark and beautiful North Atlantic and Irish Sea coast has given inspiration to writers and artists, and drives the passion of its people. The landscape could inspire anyone with poetry and romance in their soul. For couples looking for places to stay here, there are accommodations designed to celebrate romance throughout Northern Ireland, including the popular destinations of Belfast and Derry. 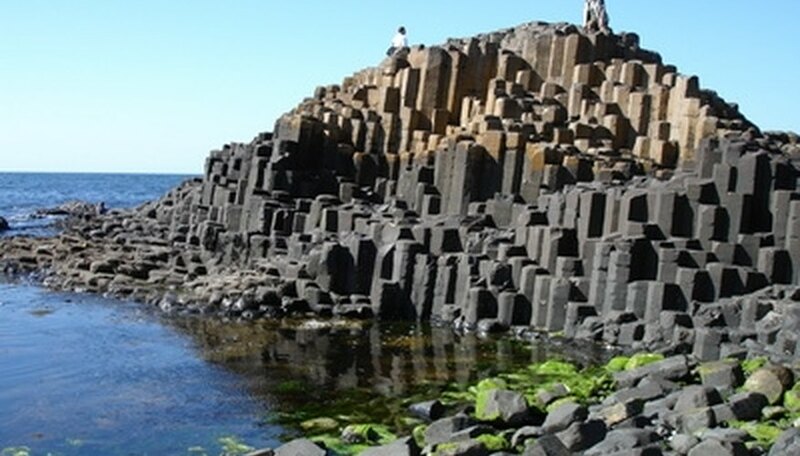 The Giants Causeway, part of Northern Ireland's dramatic and romantic landscape. Ardtara Country House is a 19th century manor house hotel restored to its elegant Victorian past, set on eight wooded acres and located in the centre of the ring of Belfast, the Giant's Causeway and the city of Londonderry/Derry. Ardtara was built as a family home by Harry Jackson Clark during the reign of Queen Victoria. It has been honored with many of the travel industry's top awards, which include the Automobile Association's choice as "Most Romantic Hotel of the Year." Beautiful grounds, inspiring landscape, luxurious rooms, fires in the hearth, highly-rated cuisine: these are all reasons why Ardtara is one of Northern Ireland's romantic hotels. Ten Square, a boutique hotel in Belfast, has been dubbed not only Belfast's "Coolest Hotel" but also one of the "Top 11 hotels in the UK & Ireland to celebrate Valentine's Day in 2010" by Sunday Times Style and Travel writers. It is located in the heart of downtown Belfast and has 23 guestrooms, including deluxe rooms and suites. As of 2010, the hotel has a special romantic break package for two from £145, which features accommodations in the hotel's Superior Guestroom with a rose petal strewn bed, champagne on ice and handmade chocolate truffles. Guests also receive a special complimentary gift pack. Egan, Siobhan. "Romantic Hotels in Northern Ireland." Dating Tips - Match.com, https://datingtips.match.com/romantic-hotels-northern-ireland-7155186.html. Accessed 19 April 2019.